19 April 2006: Former experimental test pilot Albert Scott Crossfield, Jr., was enroute from Prattville, Alabama, to Manassas, Virginia. Scott Crossfield¹ was flying his personal Cessna 210A, N6579X. The Cessna was cruising at 11,000 feet (3,353 meters) under Instrument Flight Rules (IFR), under the control of the Atlanta Air Route Traffic Control Center (ARTCC). During the flight, he encountered a Level 6 thunderstorm. Scott Crossfield requested to deviate from his planned course to avoid the severe turbulence. Atlanta Center authorized his request and he began to turn. Approximately 30 seconds later, at 11:10 a.m., radar contact was lost near Ludville, Georgia. The last indication was that the Cessna was descending through 5,500 feet (1,676 meters). The wreckage of N6579X was located the following day by a Civil Air Patrol search team, 3.3 nautical miles (6.1 kilometers) northwest of Ludville at an elevation of 1,269 feet (386.8 meters) above Sea Level. [N. 34° 30.767′, W. 84° 39.492′] The airplane had descended through the forest canopy nearly vertically and created a crater approximately 4½ feet (1.4 meters) deep and 6 feet (1.8 meters) across. Albert Scott Crossfield’s body was inside. 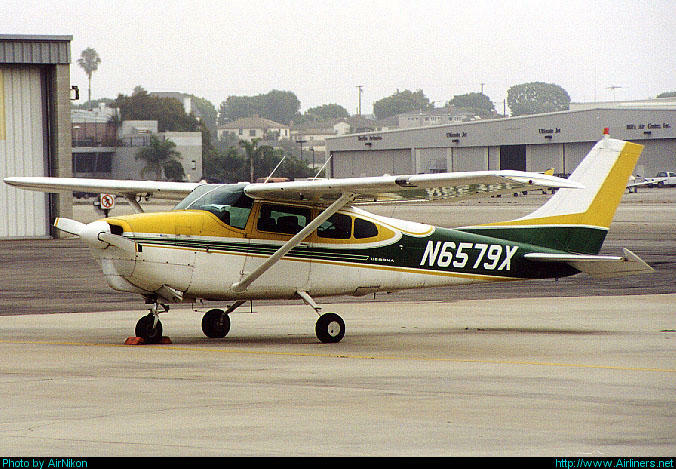 N6579X was a Cessna Model 210A, serial number 21057579, built in 1960 by the Cessna Aircraft Company, Inc., of Wichita Kansas. 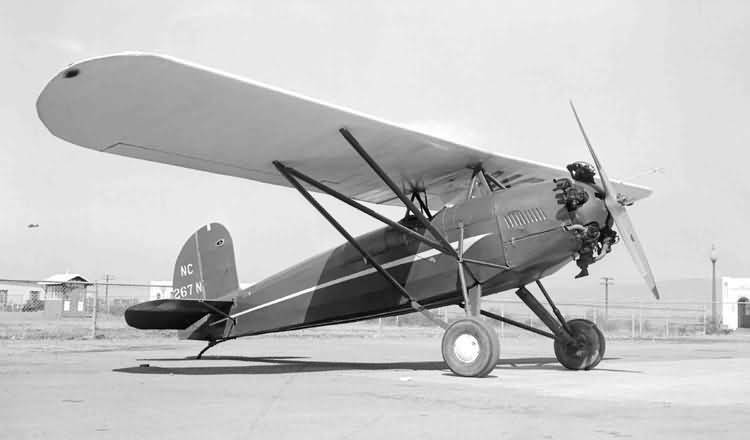 It was a six-place, single-engine, high-wing monoplane with external struts to brace the wings, and retractable, tricycle landing gear. The airplane was certified for instrument flight by a single pilot. At the time of the crash, N6579X had been flown 4,987.4 hours, total time since new (TTSN). The Cessna 210A was 28 feet, 2 inches (8.585 meters) long with a wingspan of 36 feet, 6 inches (11.125 meters) and overall height of 9 feet, 7 inches (2.921 meters). The airplane had an empty weight of 1,839 pounds (834.2 kilograms) and maximum gross weight of 2,900 pounds (1,315.4 kilograms). It had a fuel capacity of 65 gallons (246 liters), with 10 gallons (37.9 liters) unusable, and 12 quarts of engine oil (11.4 liters). N6579X was powered by an air-cooled, fuel-injected, 471.239-cubic-inch-displacement (7.722 liters) Teledyne Continental IO-470-E horizontally-opposed six-cylinder direct-drive engine with a compression ratio of 8.6:1. The engine was rated at 260 horsepower at 2,625 r.p.m. for takeoff, using 100LL aviation gasoline. It weighed 429 pounds (195 kilograms). This engine, serial number 77583-0-E, was original to the airplane and accumulated 4,987.4 hours, total time since new (TTSN). It had been overhauled by Victor Aviation, Palo Alto, California, 1,259.8 hours prior to the accident (TSO). A three-bladed McCauley constant-speed propeller with a diameter of 6 feet, 10 inches (2.083 meters) was installed in 2005. The Cessna Model 210A has a maximum structural cruise speed of 175 miles per hour (282 kilometers), and maximum speed (Vne) of 200 miles per hour (322 kilometers per hour). Maneuvering speed, which should be used in turbulent conditions, is 130 miles per hour (209 kilometers per hour). The 210A has a maximum rate of climb of 1,300 feet per minutes (6.6 meters per second) and service ceiling of 20,700 feet (6,309 meters). Its maximum range is 1,284 miles (2,066 kilometers). Albert Scott Crossfield, Jr., was born 2 October 1921 at Berkeley, California. He was the second of three children of Albert Scott Crossfield, a chemist who was employed as the superintendant of the Union Oil Company refinery in Wilmington, California, and Lucia M. Dwyer Crossfield. When he was five years old, young “Scotty” contracted pneumonia. He was comatose for a while and was not expected to survive, but after several weeks he began to recover. A year later, he again became seriously ill, this time with rheumatic fever. He was confined to total bed rest for four months, and continued to require extensive bed rest until he was about ten years old. It was during this time that he became interested in aviation. Scott Crossfield attended Boistfort Consolidated School, southwest of Chehalis, Washington, graduating in 1939, and then studied engineering at the University of Washington until taking a job at Boeing in late 1941. During this time, Scotty learned to fly in the Civilian Aviation Training Program. The week following the attack on Pearl Harbor and the United States’ entry into World War II, Scott Crossfield enlisted as an aviation cadet in the United States Army Air Corps. After numerous delays, he joined the United States Navy on 21 February 1942, and resigned from the Air Corps. He began aviation cadet training at NAS Sand Point, near Seattle, and then was sent to NAS Corpus Christi, Texas. In December 1942, he graduated, received his gold Naval Aviator wings and was commissioned as an Ensign, United States Naval Reserve. Ensign Crossfield was assigned to NAS Kingsville as an advanced bombing and gunnery instructor. He was promoted to Lieutenant (junior grade), 1 March 1944. He continued as a gunnery instructor for two years before being transferred to Air Group 51 in the Hawaiian Islands, which was preparing for the invasion of Japan. He was promoted to Lieutenant, 1 August 1945, while serving aboard the Independence-class light aircraft carrier USS Langley (CVL-27). With the end of World War II, though, the Navy was cutting back. Lieutenant Crossfield was released from active duty 31 December 1945. In April 1943 at Corpus Christi, Texas, Ensign A. Scott Crossfield married Miss Alice Virginia Knoph of Seattle. They would have five children. Following the War, Scotty returned to the University of Washington to complete his degree. He took a part time job operating the University’s wind tunnel. 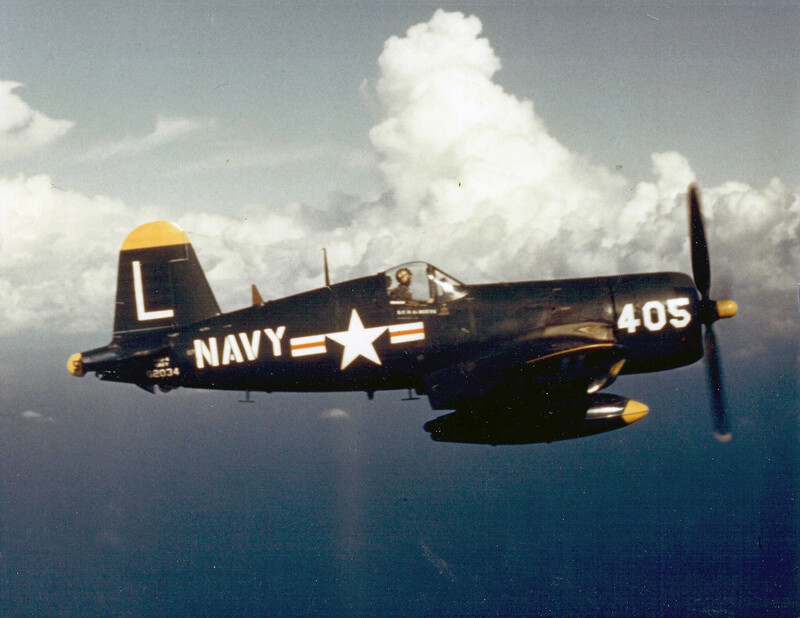 At the same time, he remained in the Naval Reserve, assigned to VF-74, a fighter squadron which flew both the Grumman F6F Hellcat and Chance Vought F4U Corsair out of NAS Sand Point, back where his naval career began. 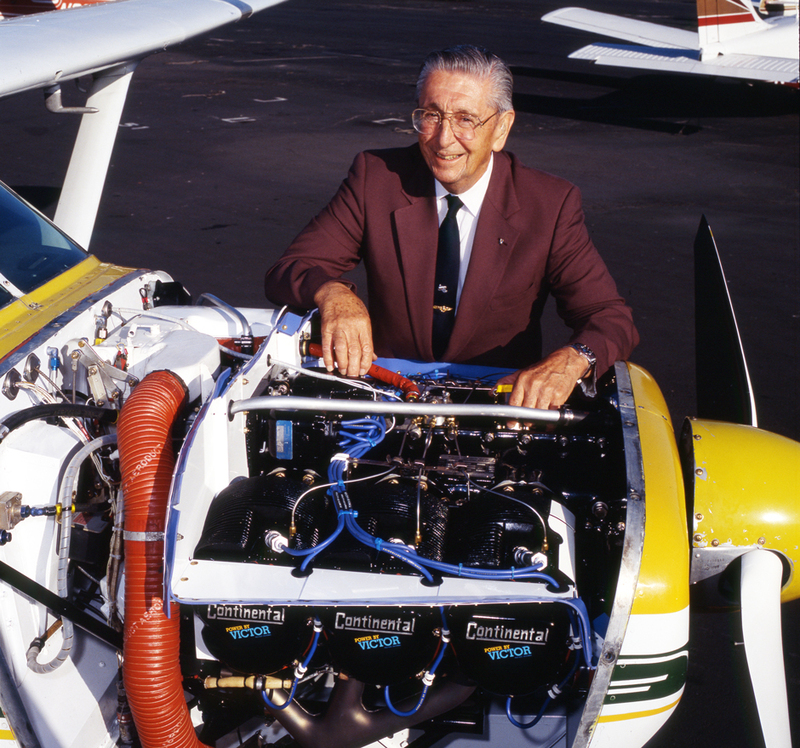 Crossfield graduated from the University of Washington with a bachelor’s degree in aeronautical engineering in June 1949, and a master’s degree in 1950. 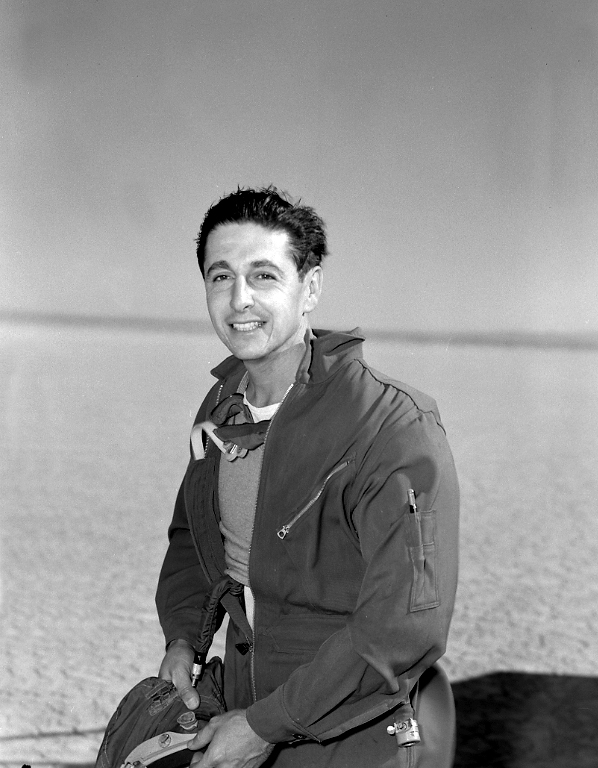 In 1950 Crossfield joined the National Advisory Committee for Aeronautics (NACA) as a research test pilot at the High-Speed Flight Station, Edwards Air Force Base, California. He flew the Republic YF-84, F-84F Thunderstreak, and North American Aviation F-86 Sabre. Crossfield made 25 flights in the delta-winged Convair XF-92A, which he described as “the worst flying airplane built in modern times.” He also flew the Northrop X-4 and Bell X-5. 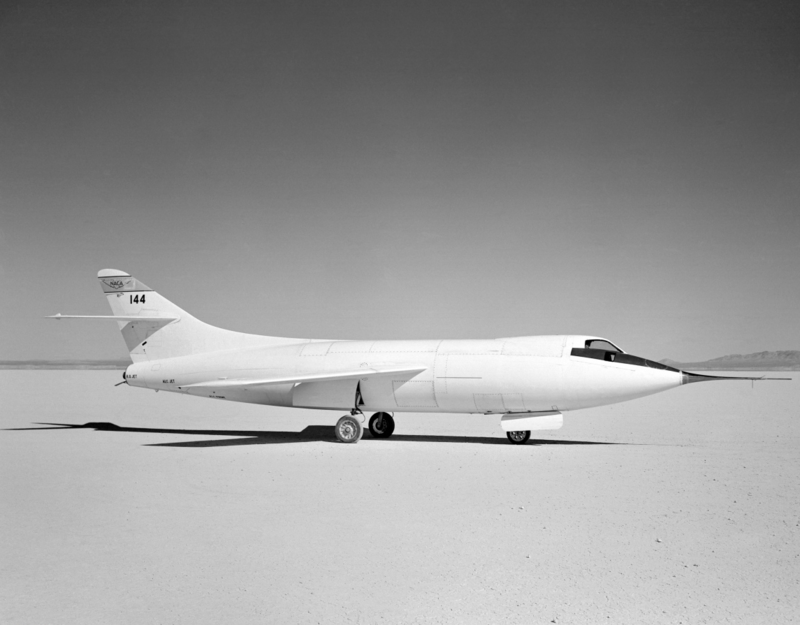 He made 17 flights conducting stability tests in the Douglas D-558-1 Skystreak. Scotty made 65 flights in the North American Aviation F-100A Super Sabre, including a test series which discovered a fatal flaw which led to the death of North American’s chief test pilot, George S. Welch. Crossfield is known as a rocketplane pilot. He made 10 flights in the Bell X-1, and 89 in the Douglas D-558-II Skyrocket. 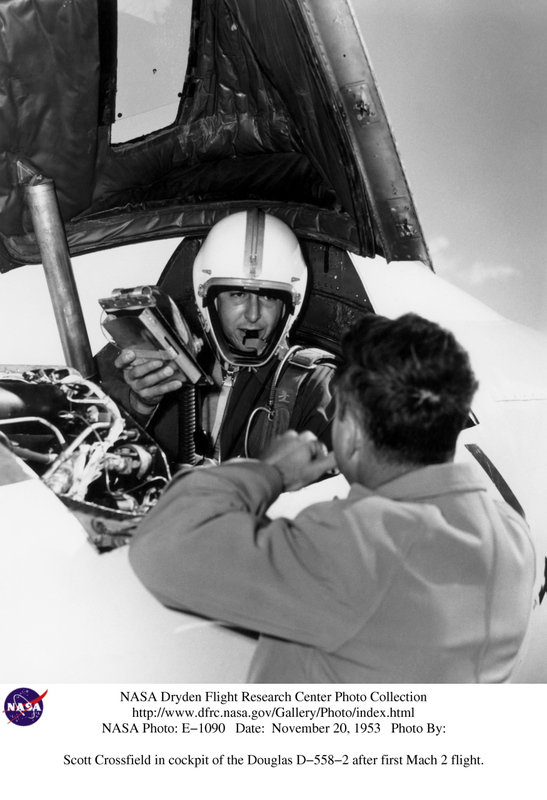 He became the first pilot to exceed Mach 2 when he flew the Skyrocket to Mach 2.005, 20 November 1953. Crossfield flew for NACA for approximately five years. During that time, approximately 500 flights were made at Edwards by NACA test pilots. Scott Crossfield flew 181 of them. 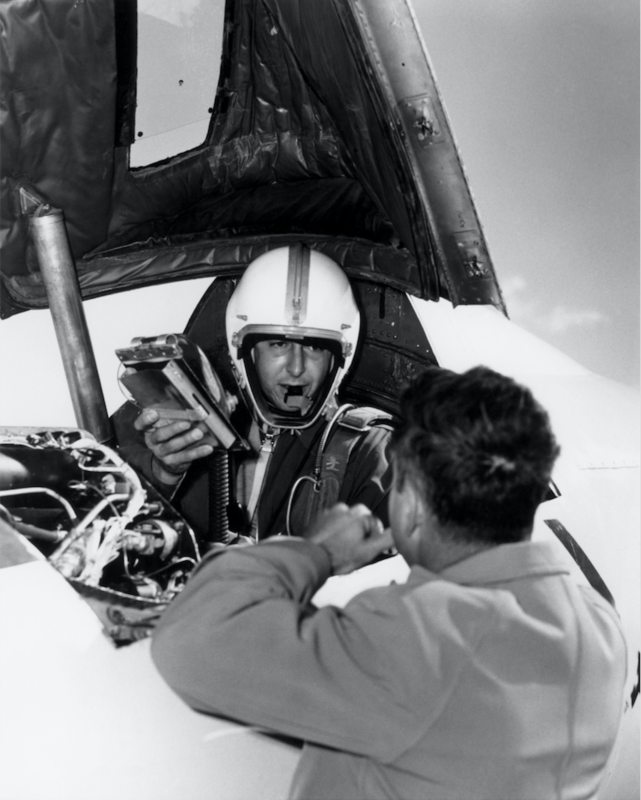 Scott Crossfield left NACA in 1956 to join North American Aviation, Inc., as chief engineering test pilot for the X-15 project. 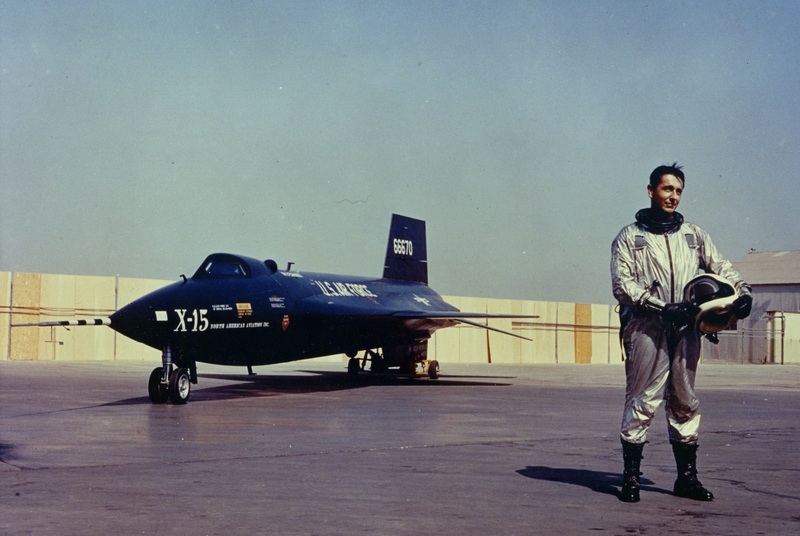 Between 8 June 1959 and 6 December 1960, he made fourteen flights in the X-15. He reached a maximum speed of Mach 2.97 and altitude of 88,116 feet (26,858 meters). Once the contractor’s flight tests were completed and the rocketplane turned over to the U.S. Air Force and NACA, the customers’ test pilots, Joe Walker and Major Robert M. White, took over. Albert Scott Crossfield made 114 flights in rocket-powered aircraft, more than any other pilot. 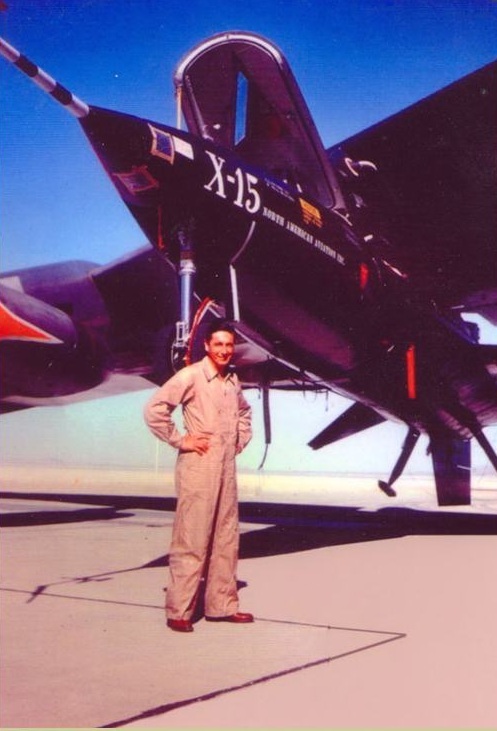 After completing his work on the X-15, Crossfield followed Harrison (“Stormy”) Storms, who had been the Chief Engineer of North American’s Los Angeles Division (where the X-15 was built) to the Space and Information Systems Division in Downey, California, where he worked in quality assurance, reliability engineering and systems testing for the Apollo Command and Service Modules and the Saturn S-II second stage. Crossfield left North American at the end of 1966, becoming Vice President for Technological Development for Eastern Air Lines. In this position, he flew acceptance tests for new Boeing 720 and 727 airliners at Boeing in Seattle. —The X-15 Rocket Plane: Flying the First Wings into Space, by Michelle, Evans, University of Nebraska Press, 2013, Chapter 1 at Page 33. The remains of Albert Scott Crossfield are interred at the Arlington National Cemetery. ¹ “Scott Crossfield” is the family name, going back for several generations. 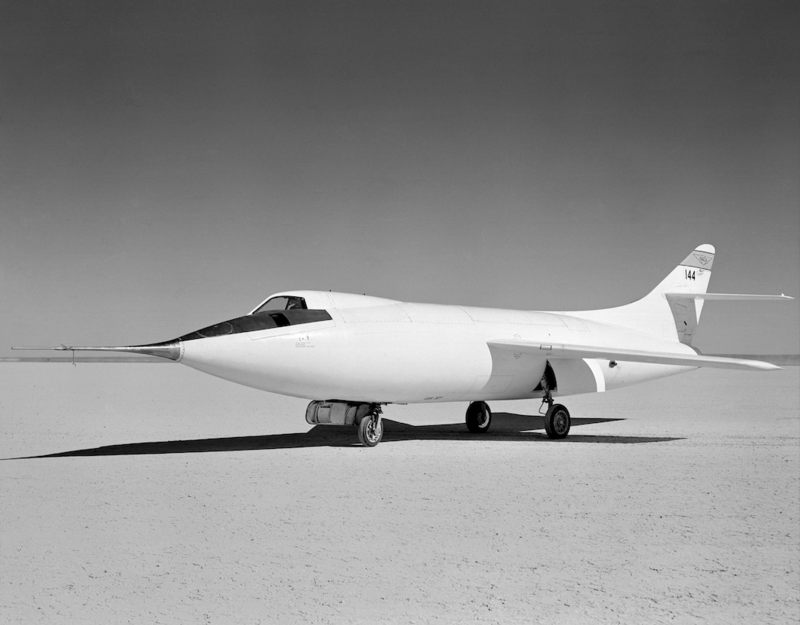 5 November 1959: During his fourth X-15 flight—the third in the Number Two ship, 56-6671—North American Aviation chief test pilot Albert Scott Crossfield made an emergency landing at Rosamond Dry Lake after one of the two Reaction Motors XLR11-RM-13 rocket engines exploded, causing an engine compartment fire. 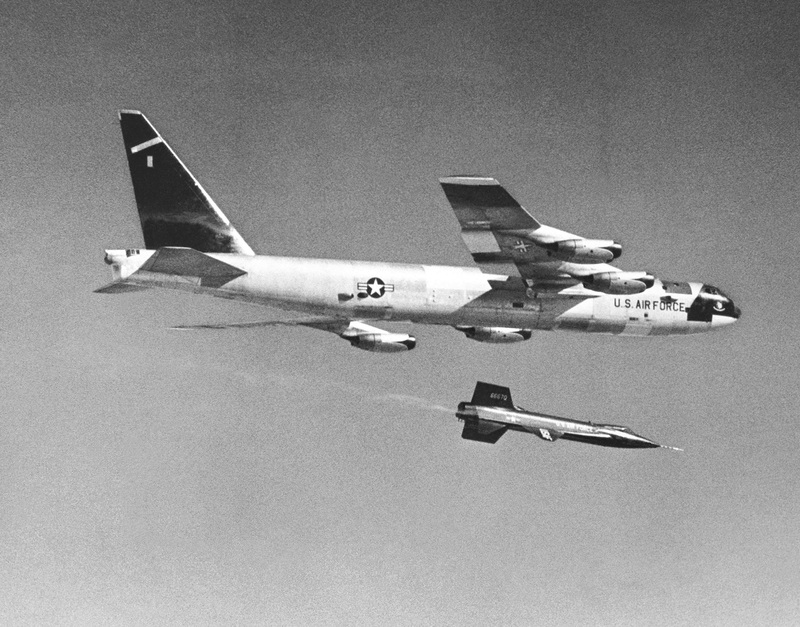 The X-15 had been launched by the Boeing NB-52A Stratofortress, 52-003, at 0.82 Mach and approximately 45,000 feet (13,716 meters) over Bouquet Canyon Reservoir, about 35 miles (56 kilometers) southwest of Edwards Air Force Base. Scott Crossfield ignited both XLR11 rocket engines and began to accelerate and climb, but one of four combustion chambers of the lower engine exploded almost immediately. He shut both engines down after 11.7 seconds. 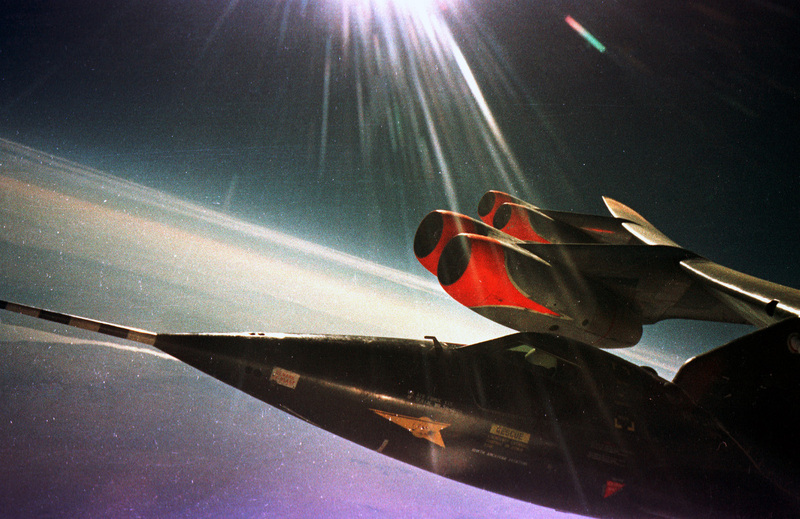 Crossfield kept the rocketplane in a level attitude for the 114 seconds it took to jettison the liquid oxygen and water-alcohol propellants to lighten the X-15 for the landing. The tanks could not fully drain and the aircraft remained approximately 1,000 pounds (455 kilograms) overweight. 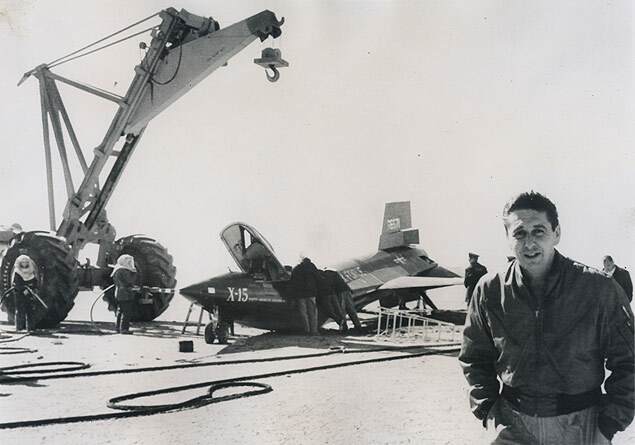 The X-15 approached the emergency landing site at Rosamond Dry Lake, about ten miles (16 kilometers) southwest of Edwards, while Major Robert M. White, flying a Lockheed F-104 chase plane, called out Crossfield’s distance from the dry lake and his altitude. As he neared the touch down point, Crossfield raised the X-15’s nose to decelerate. “I lowered the skids and nose wheel, pulled the flaps, and felt for the lake bed. —Always Another Dawn: The Story of a Rocket Test Pilot, by A. Scott Crossfield and Clay Blair, Jr., The World Publishing Company, Cleveland and New York, 1960, Chapter 41 at Pages 383–384. It was determined that the engine had exploded due to an ignition failure, a relatively simple problem not connected to the design of the X-15. But there remained the question as to why the rocketplane had broken in half. The investigation found that the rapid extension of the nose wheel strut when lowered caused the oil inside the strut to foam and vaporize, providing almost no shock absorption. This was corrected and the check list changed to lower the gear sooner. The total duration of this flight was 5 minutes, 28.0 seconds. The peak altitude was 45,462 feet (13,857 meters) and the maximum speed was 660 miles per hour (1,062 kilometers per hour). 56-6671 was taken back to the North American Aviation plant for repair. It returned to flight operations three months later. Albert Scott Crossfield, Jr., was born at Berkeley, California, 2 October 1921, the second of three children of Albert Scott Crossfield and Lucia Dwyer Scott Crossfield. (“Scott Crossfield” is the family name, going back for many generations.) His father was a chemist who was the superintendent of the Union Oil Refinery in Wilmington, California. At the age of 5 years, the younger Scott Crossfield contracted pneumonia. He was comatose for a time and not expected to survive. When he finally began to recover, he was confined to bed for many months. The effects of this illness lasted throughout his childhood. It was during this time that he developed his interest in aviation. He learned to draw, studied airplanes, and built scale models. Charles F. (“Carl”) Lienesch, who was a pilot for the Union Oil Company, gave Scotty his first ride aboard an airplane at age 6. As a teenager, he took flight lessons in an Inland Sportster at the Wilmington Airport. After his family bought a farm in Oregon, Scott Crossfield continued flight lessons and soloed a Curtis Robin at the age of 15. He earned his private pilot certificate at 18. After graduating from high school, he helped his father with the family farm before attending the University of Washington as a student of aeronautical engineering. He took a job at Boeing to pay his tuition and support. Ensign A. S. Crossfield, Jr.
After America’s entry into World War II, Scott Crossfield enlisted in the U.S. Army Air Corps as an aviation cadet, but because of expected delays in training, he quickly transferred to the U.S. Navy. He enlisted as a Seaman 2/c in the Navy’s V-5 Program at the Naval Reserve Aviation Base, Seattle, Washington, on 21 February 1942. He began Primary Flight Training there, 7 May 1942. Scotty completed military flight training and was commissioned an Ensign, United States Navy, in December 1942. On 21 April 1943, Ensign Albert Scott Crossfield, U.S. Navy, married Miss Alice Virginia Knoph at Corpus Christi, Texas. Promoted to lieutenant (junior grade) with date of precedence 21 March 1944. During World War II, Scott Crossfield served as a fighter pilot, flight and gunnery instructor, flying the Chance Vought F4U Corsair and Grumman F6F Hellcat. Though he was assigned to Fighting Squadron FIFTY-ONE (VF-51) aboard the Independence-class light aircraft carrier USS Langley (CVL-27), he did not serve in combat. He was promoted to the rank of lieutenant 1 August 1945. Scotty was released from active duty 31 December 1945. 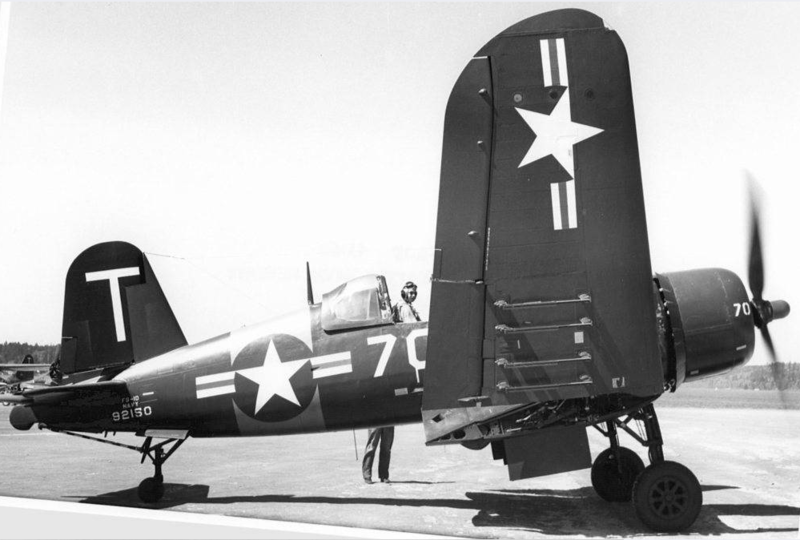 After the war he joined a Naval Reserve squadron and flew the Goodyear Aircraft Co. FG-1D Corsair at NAS Sand Point, Washington. During this time he resumed his education at the University of Washington and graduated with a bachelor’s degree in aeronautical engineering in 1949, and a master’s degree in 1950. As a graduate student he was the operator of the university’s Kirsten Aeronautical Laboratory. In 1950 Scott Crossfield joined the National Advisory Committee for Aeronautics (NACA, the predecessor of NASA) as an Aeronautical Research Pilot at the NACA High Speed Flight Station, Edwards Air Force Base, California. He flew many high-performance jet aircraft like the North American Aviation F-100 Super Sabre, and experimental airplanes such as the Convair XF-92, Douglas X-3, Bell X-4 and X-5. He also flew the research rocket planes, making 10 rocket flights in the Bell X-1 and 77 in the Douglas D-558-II Skyrocket. 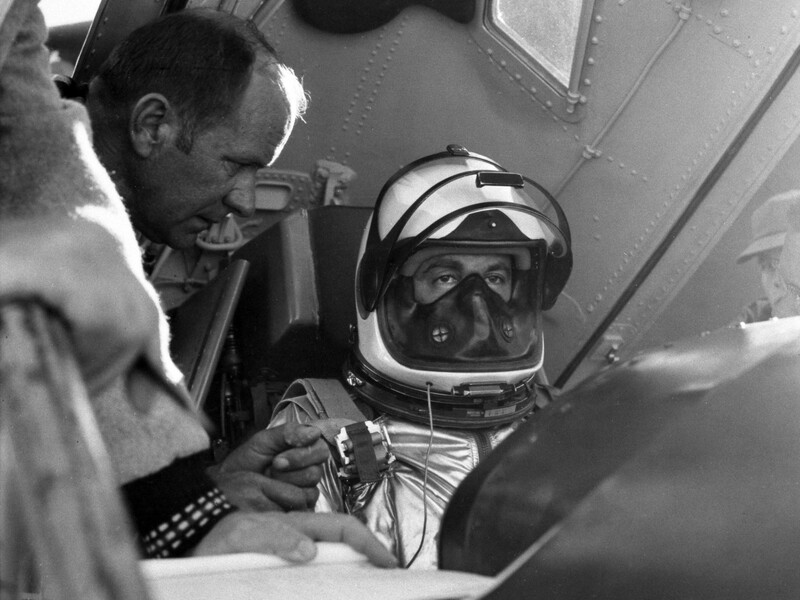 On 20 November 1953, Scott Crossfield became the first pilot to fly faster than twice the speed of sound (Mach 2). The D-558-II was carried aloft by a Boeing P2B-1S Superfortress drop ship (a four-engine B-29 long range heavy bomber which had been transferred from the U.S. Air Force to the Navy, then heavily modified by Douglas) to 32,000 feet (9,754 meters) and then released. Scotty fired the LR8 rocket engine and climbed to 72,000 feet (21,945 meters). He put the Skyrocket into a shallow dive and, still accelerating, passed Mach 2 at 62,000 feet (18,898 meters). 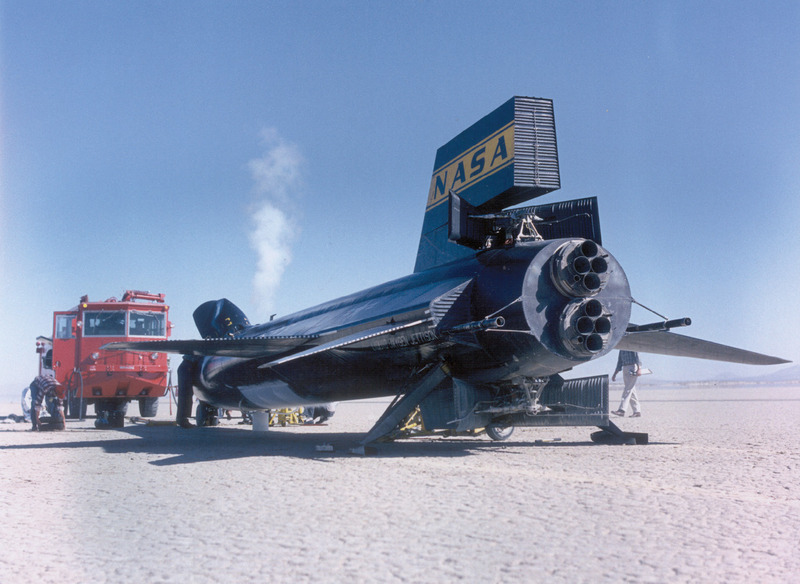 After the rocket engine’s fuel was expended, he flew the rocketplane to a glide landing on Rogers Dry Lake. In 1955 Crossfield left NACA and joined North American Aviation, Inc., as Chief Engineering Test Pilot. He planned and participated in the design and operation of the X-15 hypersonic research rocketplane for the Air Force and NASA. He also worked closely with the David Clark Co., in the development of the project’s full-pressure suits. In 1959–1960, Scott Crossfield flew all of the contractor’s demonstration phase flights for the X-15, including 16 captive carry flights under the wing of the NB-52A Stratofortress while systems were tested and evaluated, one glide flight, and thirteen powered flights. He reached a a maximum altitude of 88,116 feet (26,858 meters) on Flight 6, and a maximum speed of Mach 2.97 (1,960 miles per hour/3,154 kilometers per hour) on Flight 26. 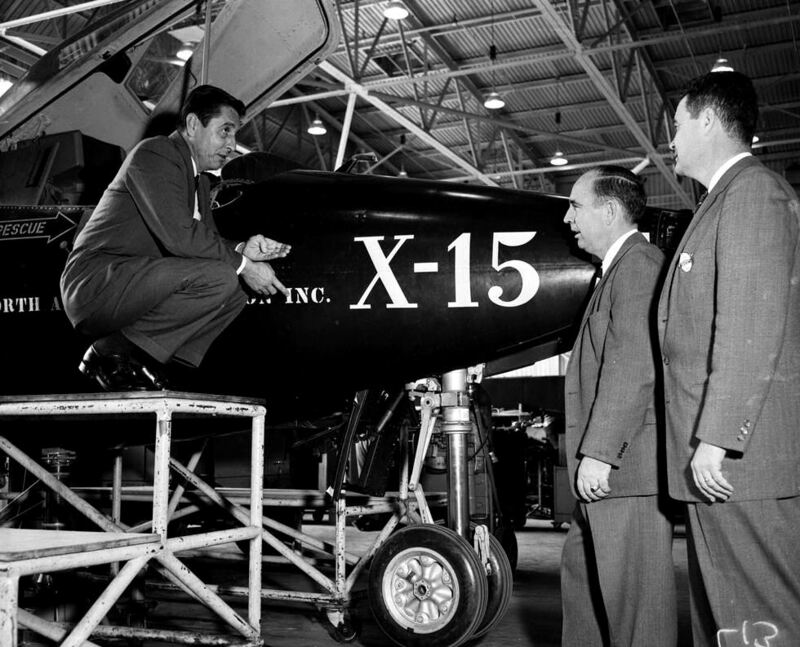 The X-15 was then turned over to NASA and the Air Force. The X-15 Program involved a total of 199 flights from 1959 until 1968. After leaving the X-15 Program, Scott Crossfield continued as a Systems Director with North American Aviation, Inc., working on the Apollo Command and Service Module and the S-IVB second stage of the Saturn V rocket. He left North American in the late ’60s and served as an executive with Eastern Air Lines and Hawker Siddeley. He also continued as a aeronautical engineering consultant to private industry and government. 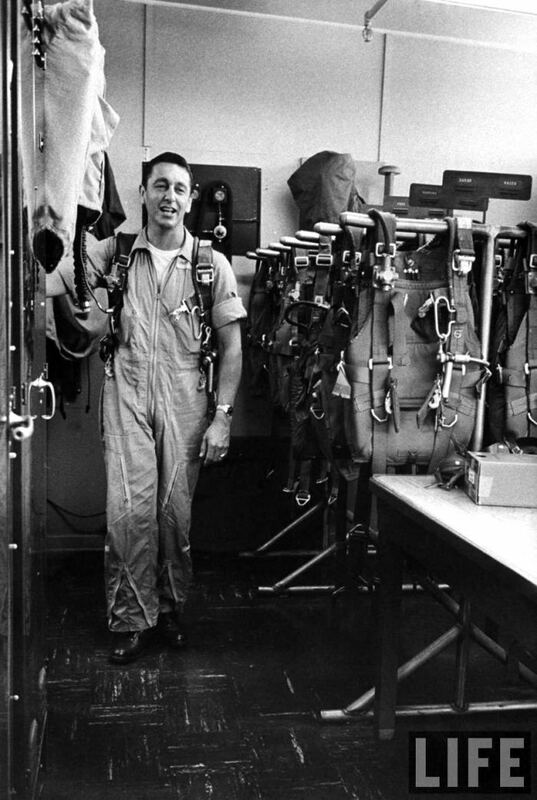 Among many other awards, Scott Crossfield was received the Harmon Trophy, the Collier Trophy, and the Iven C. Kincheloe Award of the Society of Experimental Test Pilots.. In 1980 Crossfield resumed flying when he purchased a 1960 Cessna 210A Centurion, N6579X, serial number 21057579. This was a single-engine, four-place light airplane, powered by an air-cooled Continental six-cylinder engine. He had flown more than 2,000 hours in this airplane when it crashed during a severe thunderstorm, 19 April 2006, while on a flight from Prattville, Alabama, to Manassas, Virginia. Albert Scott Crossfield, Jr., was killed. His remains are interred at the Arlington National Cemetery, Arlington, Virginia. 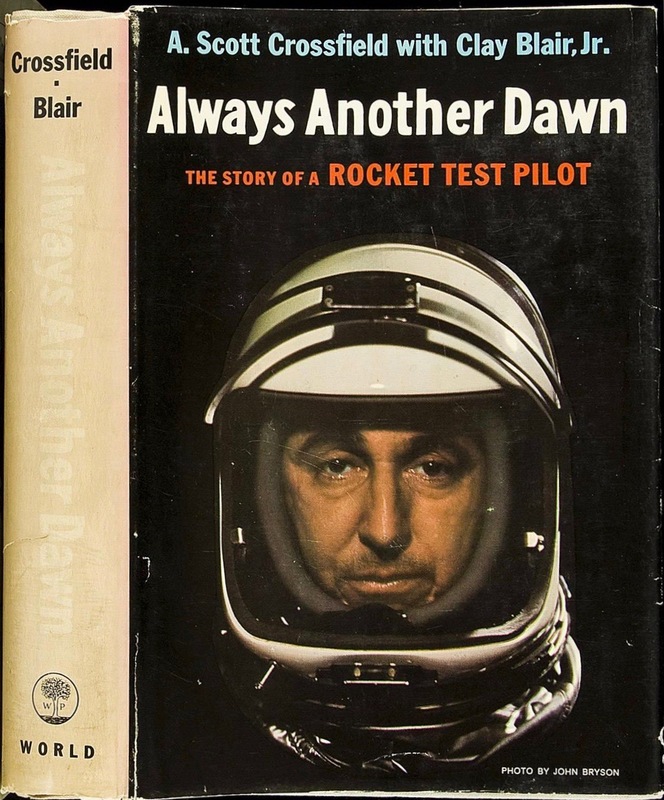 Highly recommended: Always Another Dawn: The Story Of A Rocket Test Pilot, by Albert Scott Crossfield and Clay Blair, Jr., The World Publishing Company, Cleveland and New York, 1960. 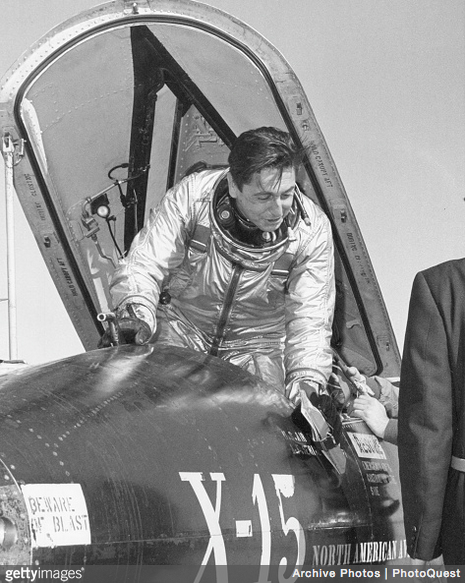 17 September 1959: After previously making one glide flight, North American Aviation Chief Engineering Test Pilot Albert Scott Crossfield made the first powered flight of an X-15 hypersonic research rocket plane. Carried aloft under the right wing of an eight-engine Boeing NB-52A Stratofortress bomber, USAF serial number 52-003, the first of three North American Aviation X-15s, 56-6670, was airdropped from 35,000 feet (10,668 meters) over Rosamond Dry Lake, 40 miles (64 kilometers) north of Edwards Air Force Base. Launch time was 08:08:48.0 a.m., Pacific Daylight Savings Time (15:08.48.0 UTC). 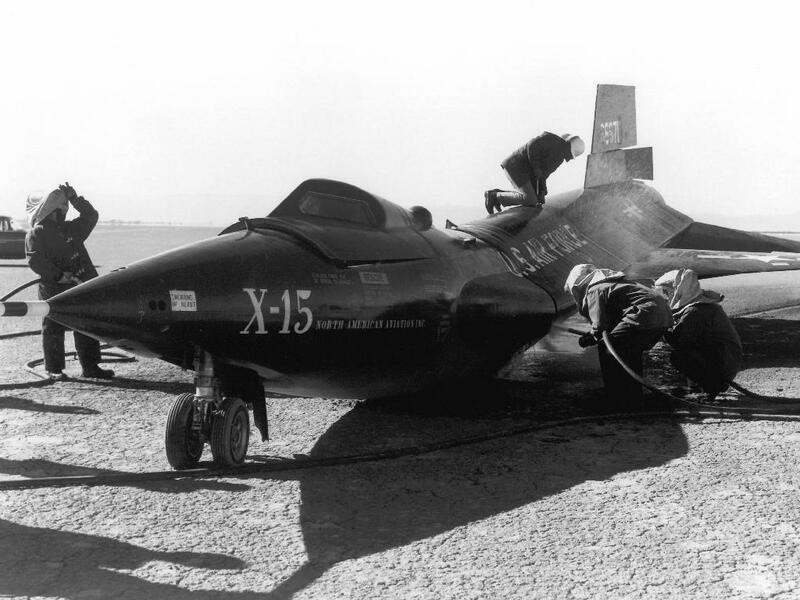 The X-15 was designed to use the Reaction Motors XLR-99 rocket engine, but early in the test program that engine was not yet available so two smaller XLR-11 engines were used. This was engine the same type used in the earlier Bell X-1 rocket plane that first broke the sound barrier in 1948. 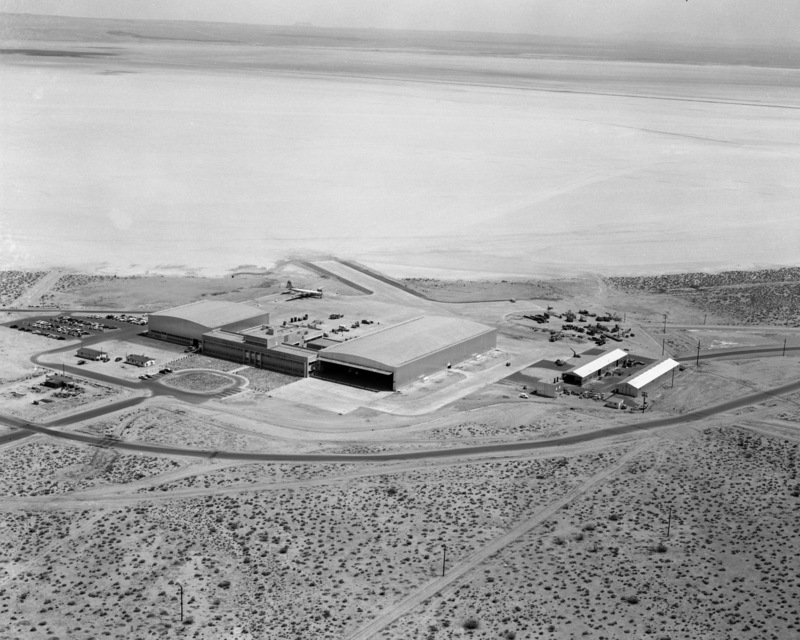 Though producing just one-fourth the thrust of the XLR-99, it allowed the functional testing of the X-15 to proceed. Two minutes after launch I reached 50,000 feet and pushed over in level flight. Then I dropped the nose slightly for a speed run, meanwhile maneuvering the ship through a series of turns and rolls, conscious of a deep rumbling noise of the rocket and a great rush of wind on the fuselage. It was obvious the black bird was in her element at supersonic speeds. She responded beautifully. I stared in fascination at the Mach meter which climbed from 1.5 Mach to 1.8 Mach and then effortlessly to my top speed for this flight of 2.3 Mach or about 1,500 miles and hour. Then, because I was under orders not to take the X-15 wide open, I shut off three of the rocket barrels. As I slowed down, I recalled the agony at Edwards many years before when we had worked for months pushing, calculating, polishing and who knows what else to achieve Mach 2 in the Skyrocket. 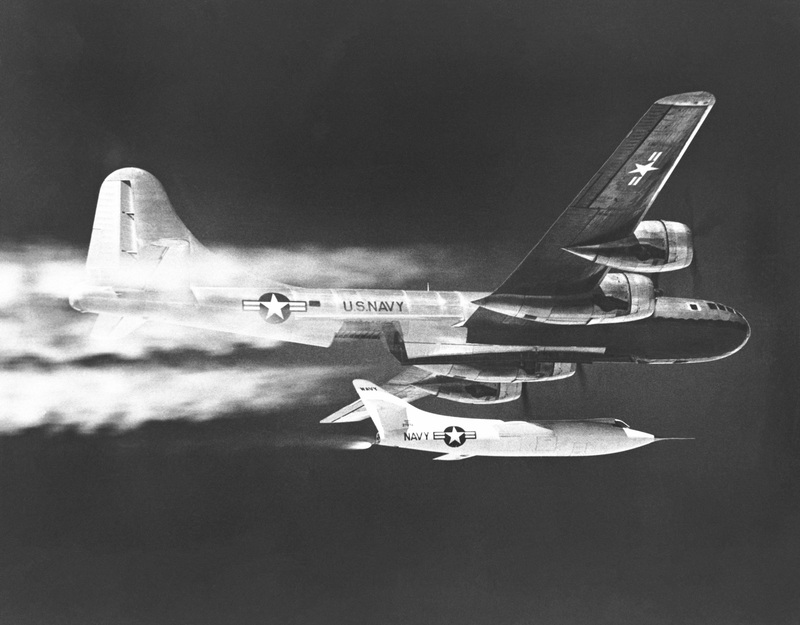 Now with the X-15 we had reached that speed in three minutes on our first powered flight and I had to throttle back. —Always Another Dawn, The Story Of A Rocket Test Pilot, by A. Scott Crossfield with Clay Blair, Jr., The World Publishing Company, Cleveland and New York, 1960. Chapter 39 at Pages 362. The X-15 dropped 2,000 feet (610 meters) while Scott Crossfield ignited the two XLR-11 engines and then started “going uphill.” During the 224.3 seconds burn duration, the X-15 reached Mach 2.11 (1,393 miles per hour/2,242 kilometers per hour) and climbed to 52,300 feet (15,941 meters), both slightly higher than planned. Problems developed when the rocket engine’s turbo pump case failed, and fire broke out in the hydrogen peroxide compartment, engine compartment and in the ventral fin. 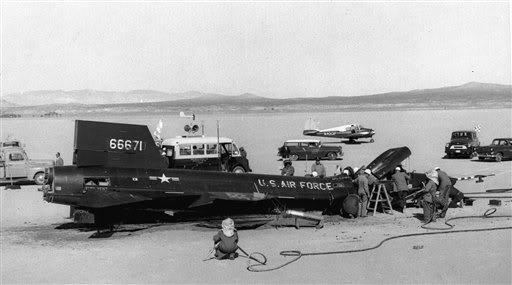 Crossfield safely landed on Rogers Dry Lake at Edwards Air Force Base. The duration of the flight was 9 minutes, 11.1 seconds. Damage to the rocket plane was extensive but was quickly repaired. 56-6670 flew again 17 October 1959. 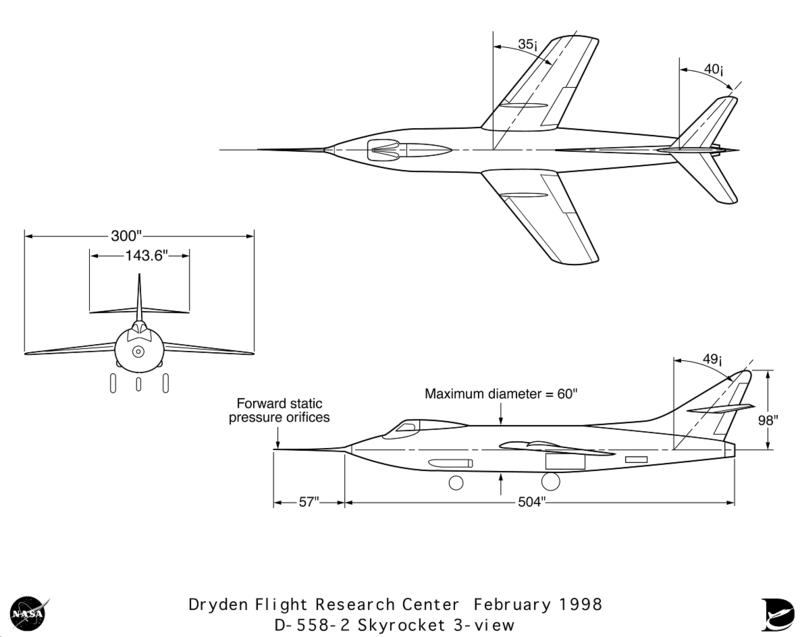 Over the next nine years the three X-15s would make 199 flights, setting speed and altitude records nearly every time they flew, and expanding NASA’s understanding of flight in the hypersonic range. 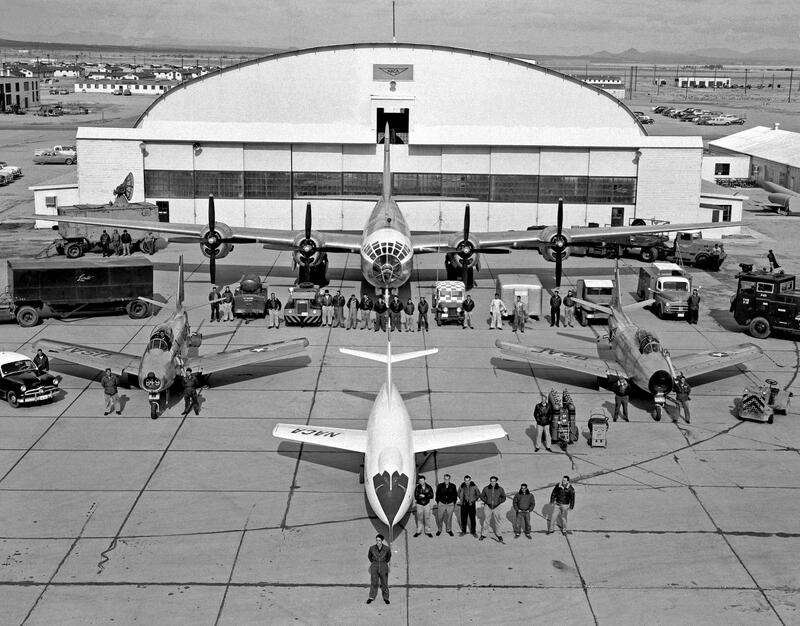 The first two X-15s, 56-6670 and 56-6671, survived the program. 670 is at the Smithsonian Institution National Air and Space museum and 671 is at the National Museum of the United States Air Force.